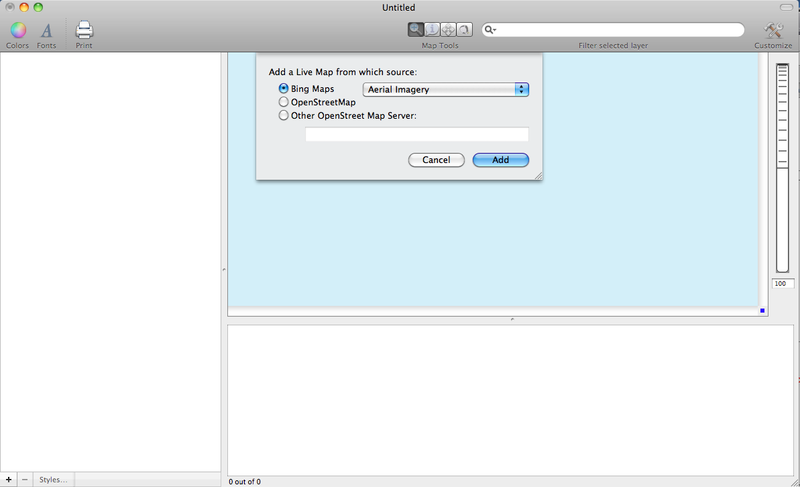 A new feature of Cartographica 1.2 is the ability to add Live Maps to documents. 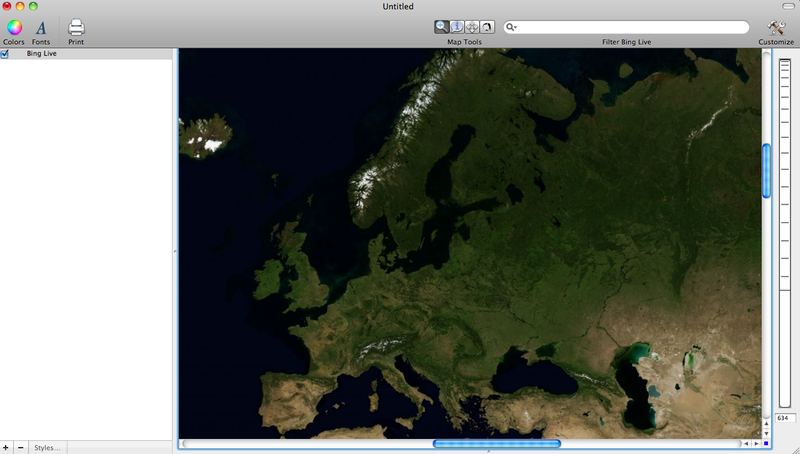 Cartographica has the ability to directly use data from Bing, OpenStreetMap, and or any OGC-compliant Web Map Server. 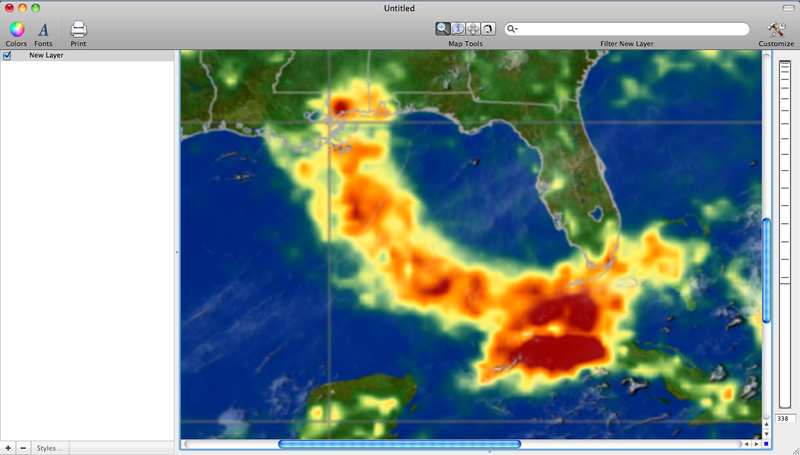 Each of these data sources can be displayed in Cartographica, and additional layers can be added for analysis. The advantages of directly adding Live Maps and WMS data are limitless, but the largest is the convenience of not having to dig around for a base map. These maps provide high resolution imagery of nearly every location on Earth, and provide great opportunities for research and exploration. The ability to add additional spatial layers to Live Maps and WMS data allows users who have already collected or developed their own data to combine their information with information available through Cartographica. For exploration purposes the WMS data provides access to numerous environmental and ecological data sets through a number of WMS's. Users will find that the new Live Map and WMS capabilities will be both entertaining and useful for producing professional quality maps. Read below for the steps to view Live Maps and WMS. 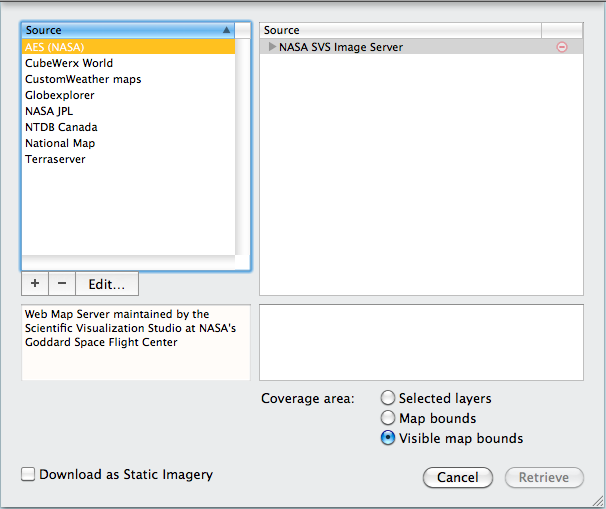 Select whether you want to acquire Live Maps from Bing, OpenStreetMap, or another OpenStreet Map server. 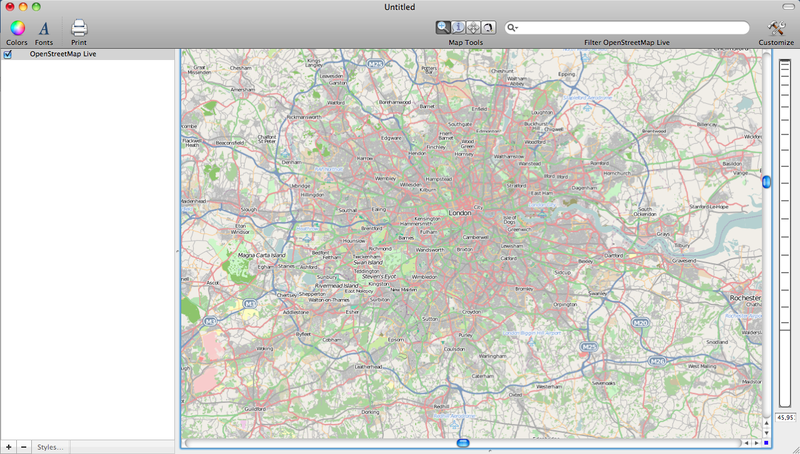 Wen using Bing maps, you can also choose whether you want Aerial imagery, Road imagery, or both.